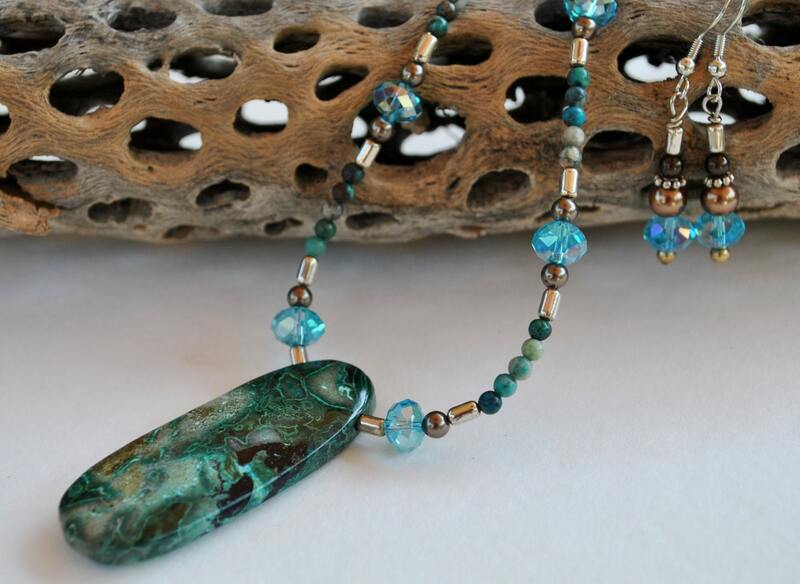 A stunning Blue Chrysocolla Stone pendant is the focal of this necklace. 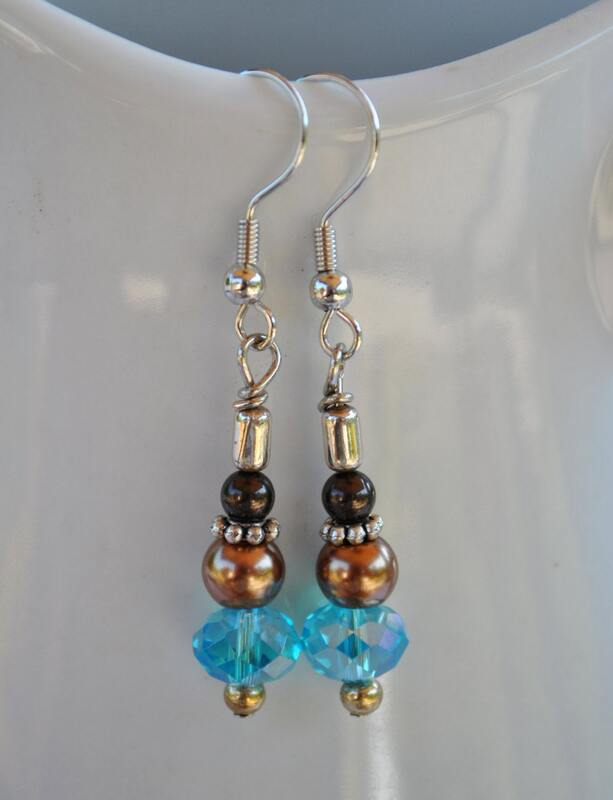 Sterling Silver beads mix with blue crystals, brown Swarovski pearls, and tiny turquoise beads. There is a beautiful pattern on the focal stone which will receive many compliments. 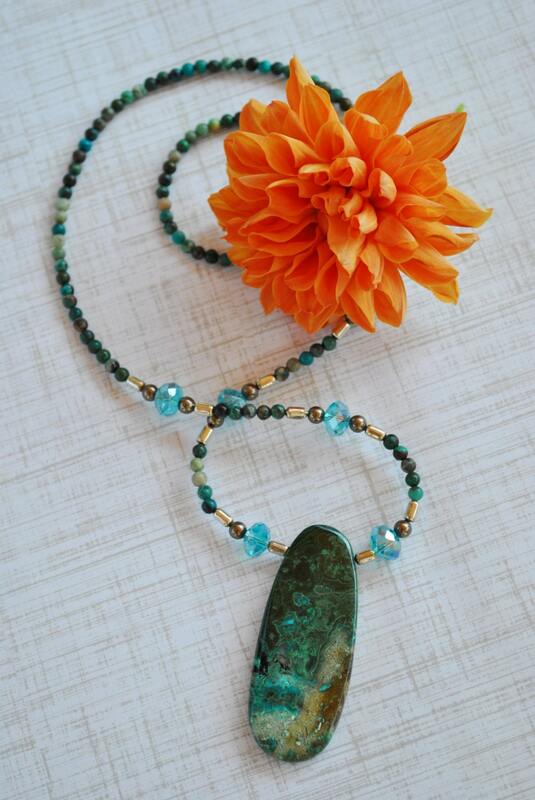 Chrysocolla is a gemstone with a beautiful sky blue to bluish-green color. 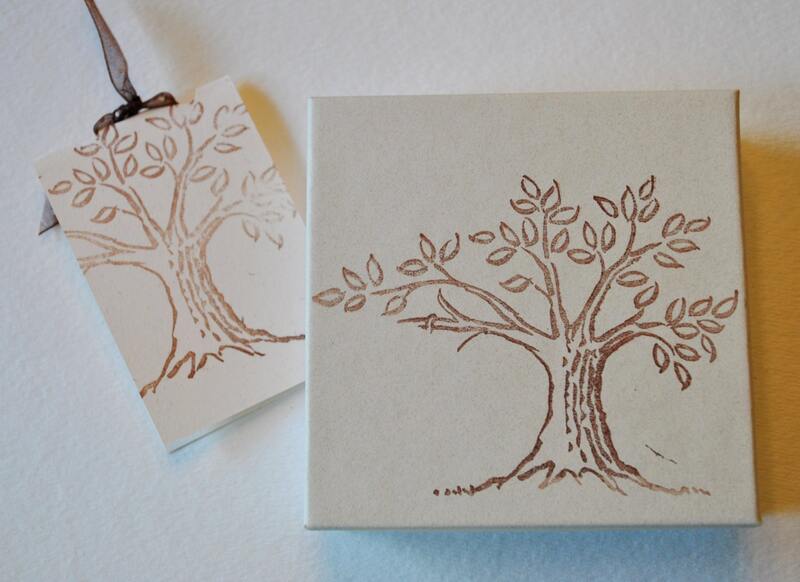 Copper in its chemical structure is responsible for the bright attractive color. It is often multicolored with inclusions or veining of black and brown matrix material. 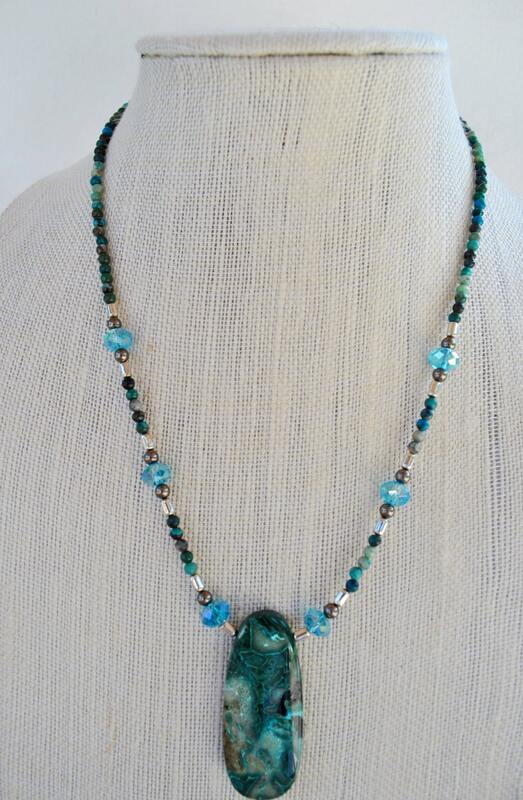 It is known as a healing stone among Native American Indian cultures where it was used for strengthening the body's resistance and bringing about calm feelings. Hypoallergenic ear wires. Sterling silver ear wires may be substituted for $3.00. Purchase them from the sterling silver ear wires section and I will assemble them for you before I ship.